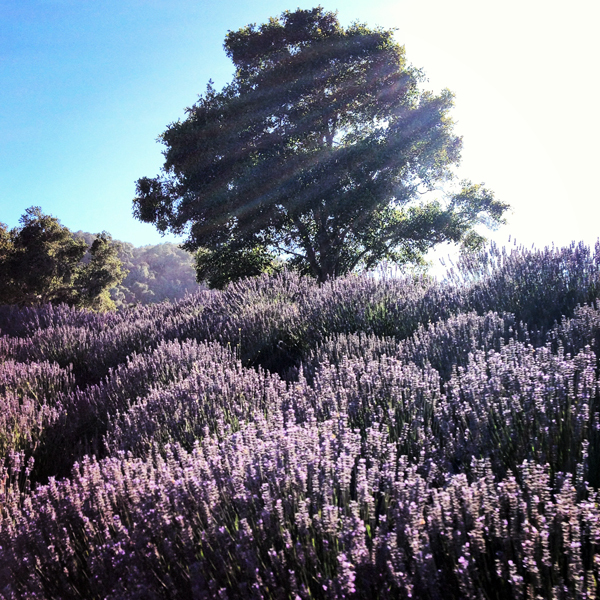 I recently spent a long, beautiful weekend at Carmel Valley Ranch, a dream of a resort that's home to thousands of lavender plants. My favorite part of each day was in the afternoon, when they brought out fresh lavender and honey lemonade. It was sweet, unexpected, and the perfect summer drink. The best part? The kind folks of the ranch shared the recipe with me. 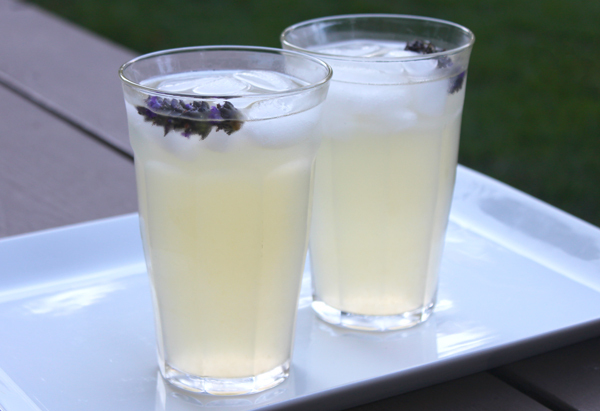 I love sipping this delicious drink knowing that lemons are detoxifying and the scent of lavender promotes relaxation. While the sweetest way to relax is poolside at the ranch, recreating their signature beverage at home is the next best thing. Here's how I've been making it. 1. Roll the lemons on your counter to release juice, slice in half, and squeeze to make about 1 cup of fresh lemon juice (I use a citrus squeezer). Add the lemon juice and 4 cups of water to a pitcher, stir, and set aside. 2. Pour 1/2 cup hot water into a safe container and add 2 lavender sprigs and honey; steep for 10 to 15 minutes, then strain and add to pitcher. Adjust honey and lavender to taste. 3. Pour over ice, garnish with remaining lavender, and serve. Note: Meyer lemons are sweeter than regular lemons. If you use the regular kind, you might prefer more honey. Gorgeous pic! Steve and I are in the middle of planning a trip to France and he was adamant that we needed to research the perfect season to go. With a little too much enthusiasm, he goes, "I mean, are the lavender fields going to be in bloom?!" I've been making fun of him for a week for this, so this post was timely and made me giggle. Also, I LOVE all things lavender infused. That is officially my new favorite quote! I think you have to make him this lemonade with extra lavender! That looks absolutely delicious. In hopes of staying hydrated, I'll be sucking down liquids on my trip to hotter than hot Arizona. This recipe is on my list! When I first saw this post I was sitting at the airport in Lisbon waiting for my flight home to Barcelona where I now live. I grew up in Santa Cruz, Ca and am always looking for recipes or small things to make in Barcelona that remind me of home and this recipe did. I tried it for the first time today and it was the perfect complement to a mellow sunday in Spain. Thank you for all the amazing ideas and posts I love them all!! !